Well that’s the question folks. Do you ever do things out of guilt and then you feel awful, compromised, like crap? When I do something because I feel guilty – wanting to be accepted, promoted, or some such thing, I get pulled into a whirlpool of mixed emotions. I chastise myself for trying to produce results rather than letting things play out in time and letting things happen in due course. I take the reins and do it. Of course, it (the desire I am hoping to achieve) may initially work out BUT trust me, it will backfire eventually. 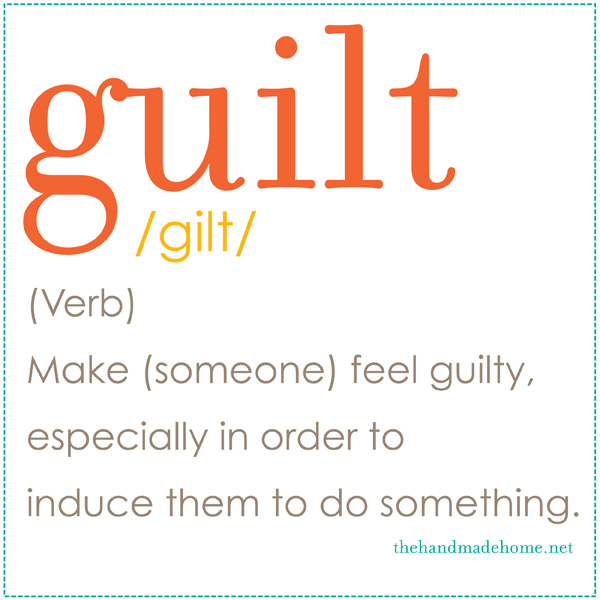 Guilt should never be the driving force in any relationship or situation. Never. Never. For me, doing things out of guilt for people was a biggie. It was never about them, but it is about me. Why did I do that? Well, to be quite honest, because I did not trust the Lord to do for me what I could not do, so I decided to work it up and do it myself. Then I felt guilty for doing things out of guilt because I know it won’t produce the desire that I wanted it to produce. There is an answer to it all. Glance over yesterday’s blog, okay? Guilt is like going round and round in a whirlpool. Just wanted to repeat that for myself to let it settle in me. I feel guilty for what I don’t do and guilty for what I do. 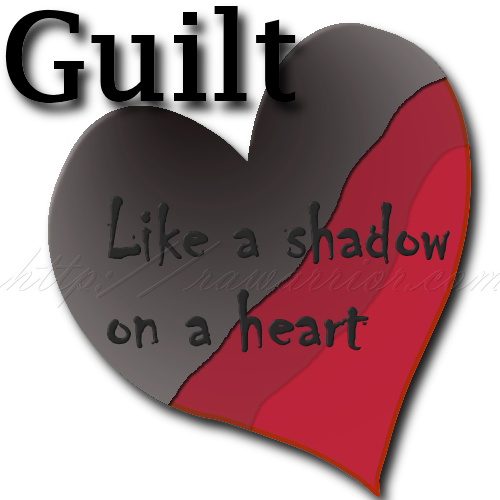 It’s a never-ending battle that actually is a by-product of a wounded heart. Somehow guilt has made me feel that I lack something. It makes me feel like I am not enough and I have to buy my way into situations or peoples’ lives. Have you ever been there? Oh by the way, buying your way in is not with money or it could be. It could be through control, manipulation or even promises to enhance relationships or situations. For instance, I can buy presents flattering people so that they feel wanted and do more. I can take people places that they would not be able to afford themselves because I have the money and they don’t. There are numerous ways to move in guilt. I have decided to take a new approach. It’s called trust. Trusting God to make a way for me. Not cliché. Not some easy fix. It is reality. 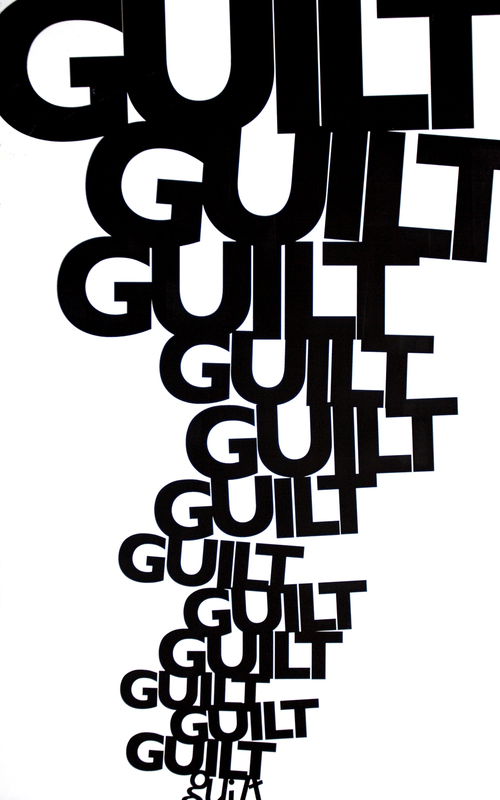 The overriding flow of guilt in my life flowed through my decisions. Guilt was behind many decisions I have made in times past. Suddenly, I see. Do you? Guilt robs you of an inner sense of calm, peace, and an awareness that you are enough whether things work out as you expected them to work out or not. Yikes, that is pitiful but we do it. I have done it. Perhaps you have done it. Why do we do it? I don’t feel that Christ in me is enough to lead the way, get the job done, fulfill His promises, etc. But times they are a changing for me. I say “for me” because this is my internal reality. I am not blaming anyone for it at all. I can trace back these ‘guilt roots’ to my Polish upbringing. Guilt in a Polish family is served up on a fine platter, able to be digested at every meal. No lie. That is truly how it was. I love love love my parents (now deceased) but breaking this ‘thing’ is essential in my life. I am writing this off the cuff to help each of you avoid making these same mistakes. I have not arrived but this whole thing about guilt is being exposed in the light of the finished work of the cross. And, it feels so good. I draw near to God, who through His Son has freed me from guilt and condemnation. The lack that I have inside myself, those places of lack that are like giant voids in my being, are there because I don’t believe or refuse to accept the fact that Christ is full in me. I am enough in Him. He is all in me. It is tempting to work up our lives to compensate for the fact that things are not happening or life is not going the way it should be but that is not the way to go. Not at all. His life flows through me, always revealing to me His perfection, flowing through my desert places, those places of deep voids and depths of woundedness that still exist for all of us, no matter how old we get in life. The anecdote for guilt for me – STOP – stop trying to make it work. Stop trying to make people want to do things. Stop trying and rest, be still, and listen. It works for me and establishes me on a strong foundation of peace. Now, that is not saying that it won’t rise up again and I will be tempted to buy someone out in some way through guilt. It may happen. The answer is to focus on the reality of the finished work of the cross, realizing that He has done it all for us. Guilt and condemnation has been nailed to the cross and we are free. There is NO condemnation (or guilt) for those who are IN Christ Jesus. That’s me. And you. This entry was posted in Uncategorized and tagged believe, Christ, christian, Christianity, condemnation, creative, creativity, cross, design, destiny, diversity, expression, finished work of the cross, flow, freedom, glory, grace, guilt, healing, HolySpirit, in Christ, journey, life, love, prophetic, reality, rejoice, truth, wounded, you are enough, you lack no good thing by riversofeden1. Bookmark the permalink. So good Hillevi. Love what you said about ‘perceived obligations’ which are really not there anyway right? But, in our minds and that is the worst place to be for then we create a stronghold around them and once embedded, we then walk out the lie as if it is truth. Thank God for Jesus who gives us life and freedom. Grace is beautiful and awesome and so simple that we can’t comprehend its reality for we like to do, be, achieve, perform. That is a trap, always. Love your comments. Thank you for your honesty. I think it si and always will be the war between the flesh and spirit….Till we see Him face to face and we will be like Him! “by faith” Be still and Know He Is Trust Worthy. . . . I often get pulled down into my own imperfections – the day to day stuff that you can’t quite get a handle on or seem to overcome. Then eventually, when I am tired of fighting myself LOL, I stop, breathe and focus on the ONE who has accomplished all for me, gives me life, lives in me, and leads me by His spirit. That is good news.